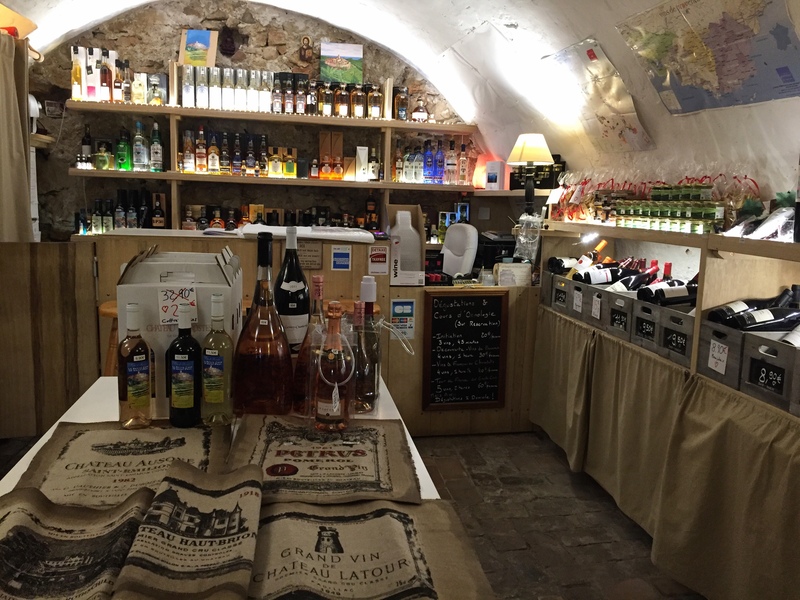 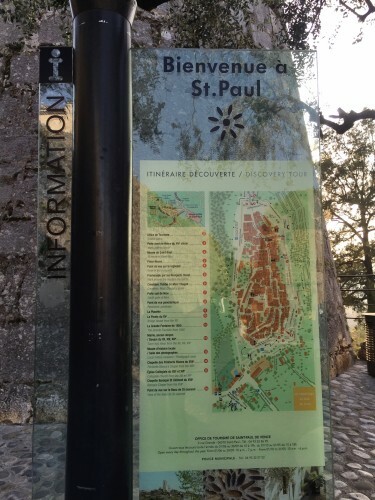 And several sites in between like the Rhone American Cemetery in Draguignan and several great wineries. 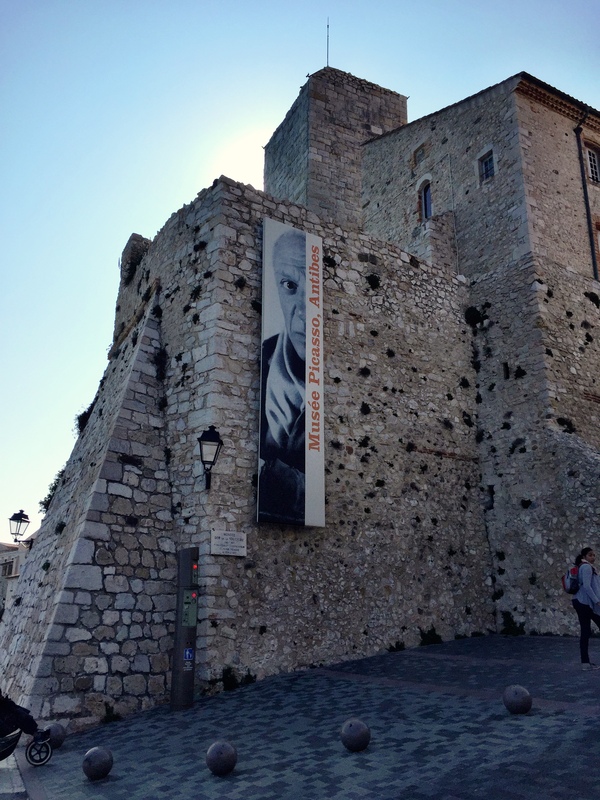 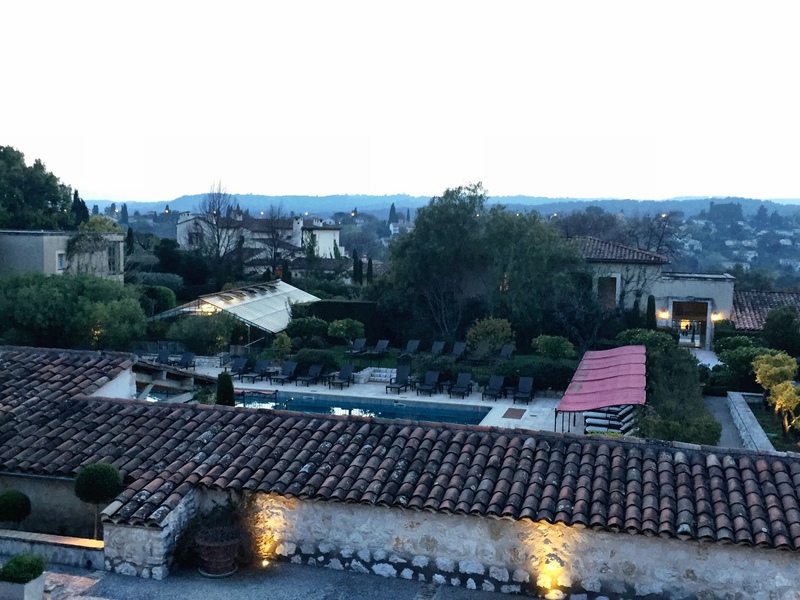 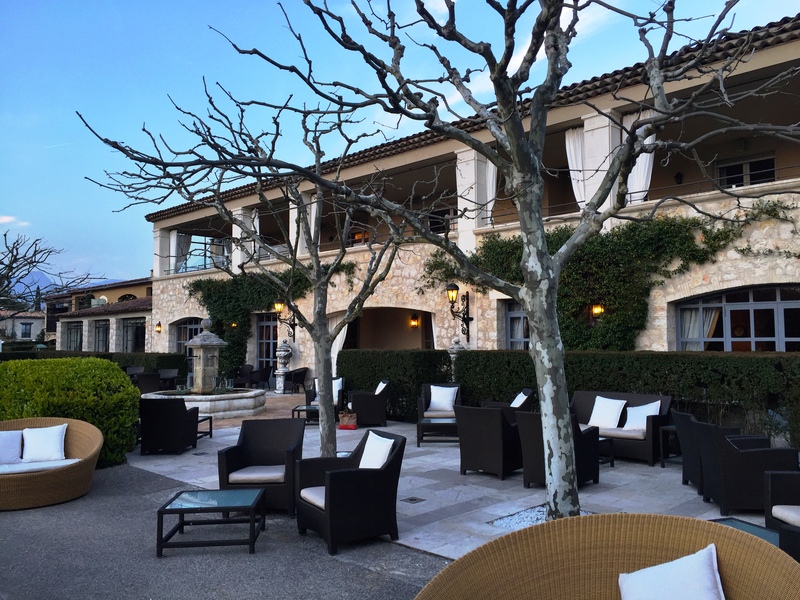 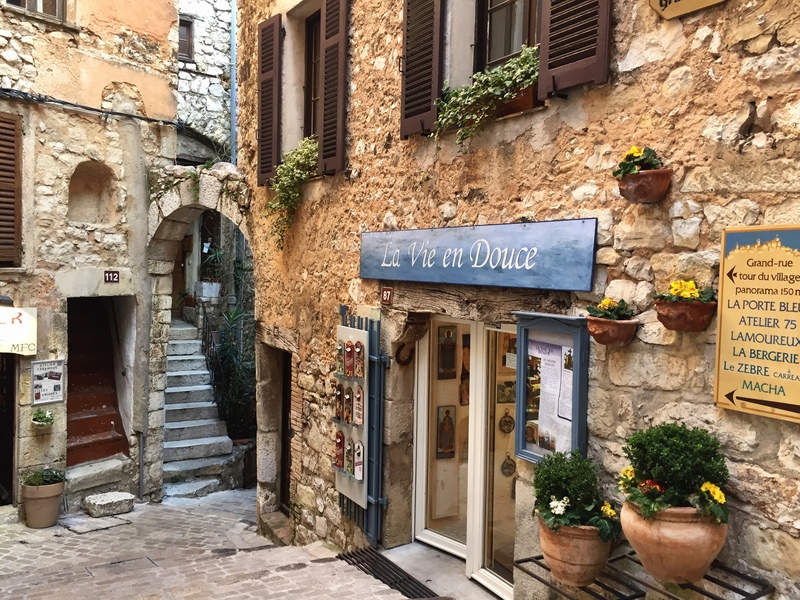 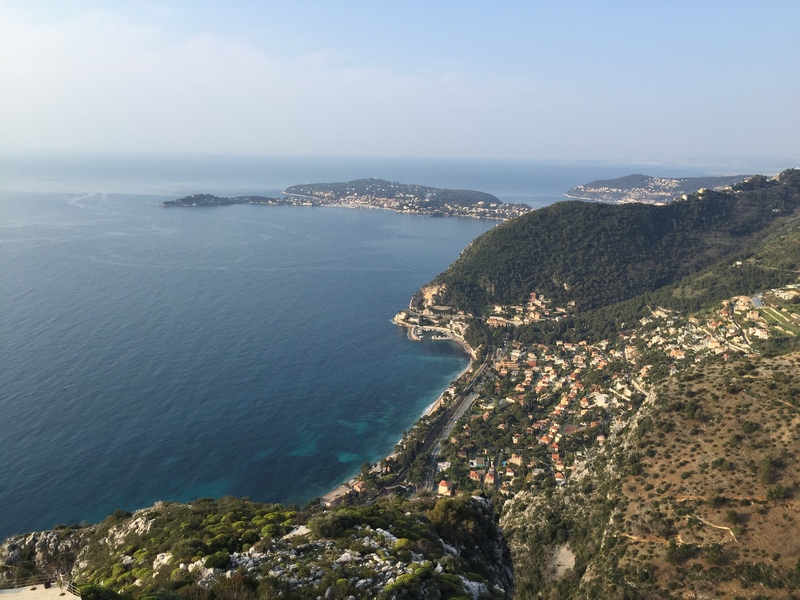 It is easy to drive between the Riviera and Provence, and even better to take advantage of a great driver-guide like I did so that you may relax and enjoy the scenery rather than having to keep your eyes on the road! 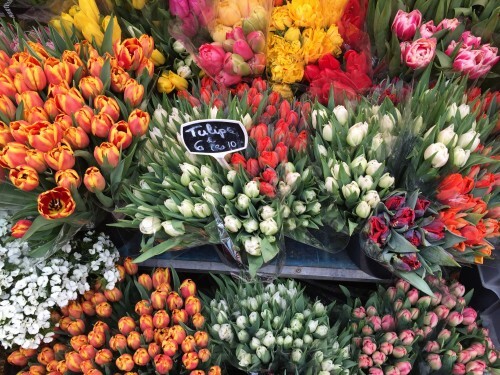 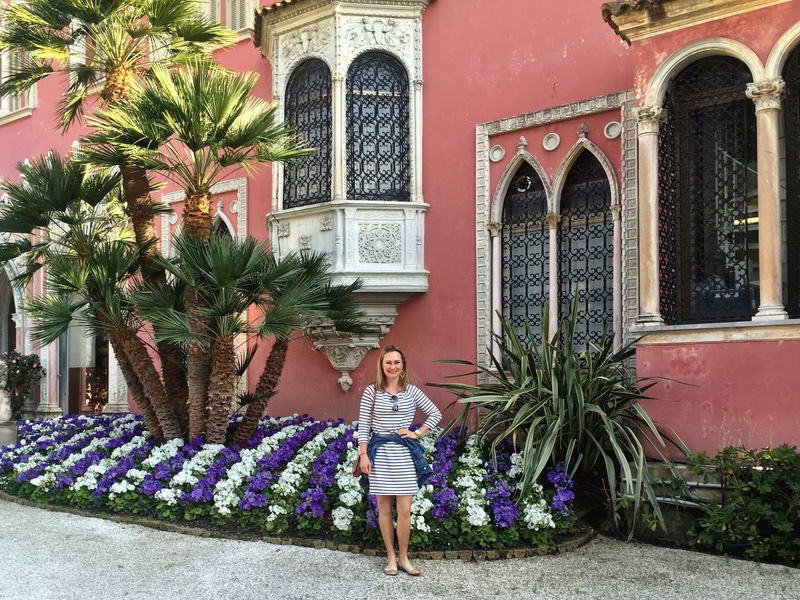 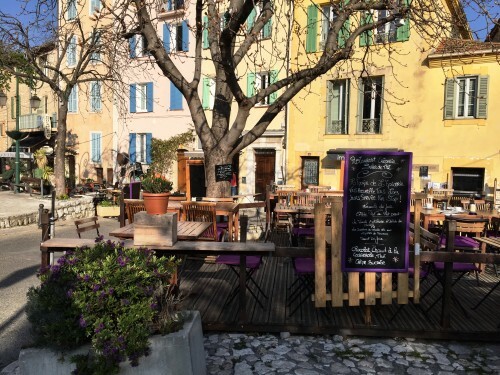 While summer is high season in this area- the temps are warm, the beach clubs are open, and the lavender and the grape vines blooming- there was something so lovely about visiting in the spring at the end of March! 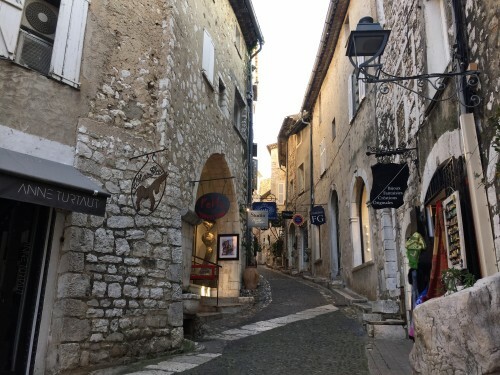 Properties are just opening for the season, the brisk morning air is perfect for a coastal walk, and the towns feel so wonderful and local without the crowds that swarm in the warmer months. 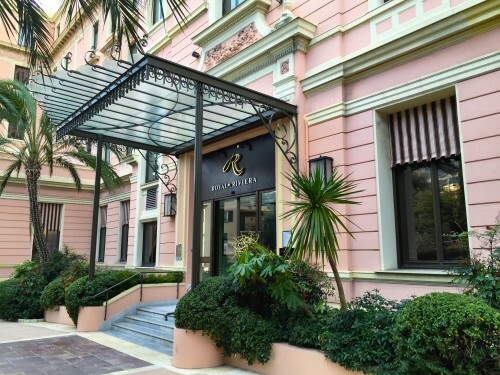 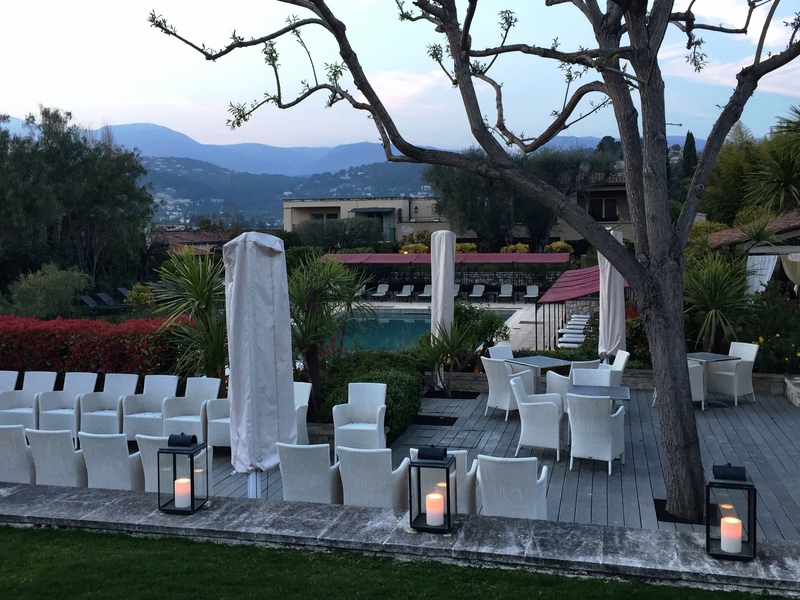 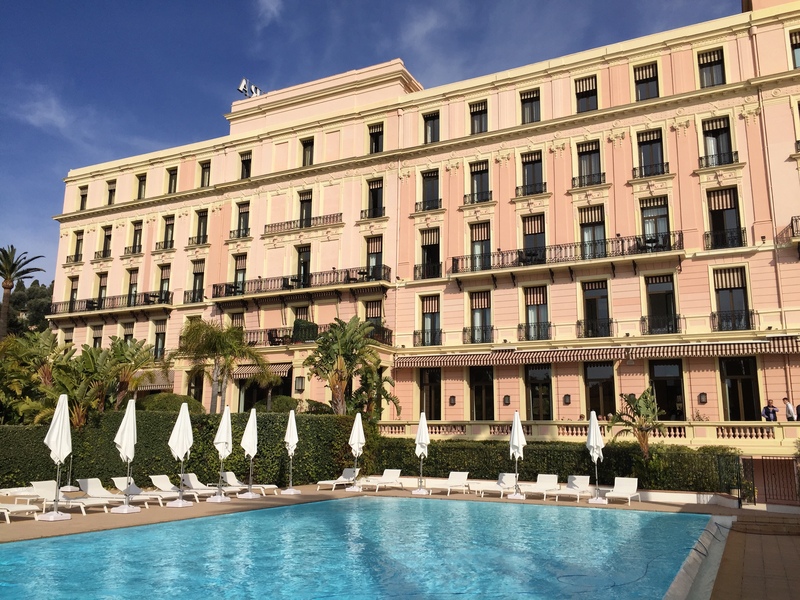 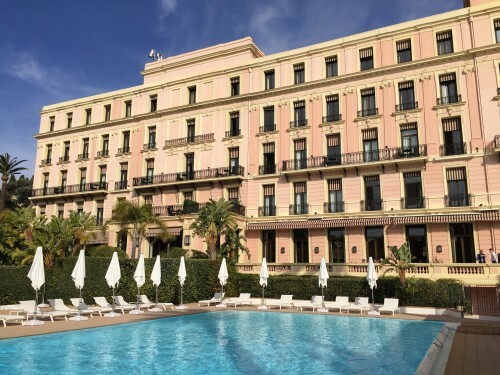 The hotel Royal Riviera is an absolute gem of a property, perfectly situated at the top of the peninsula Saint-Jean-Cap-Ferrat, and equidistant from both Nice and Monaco. 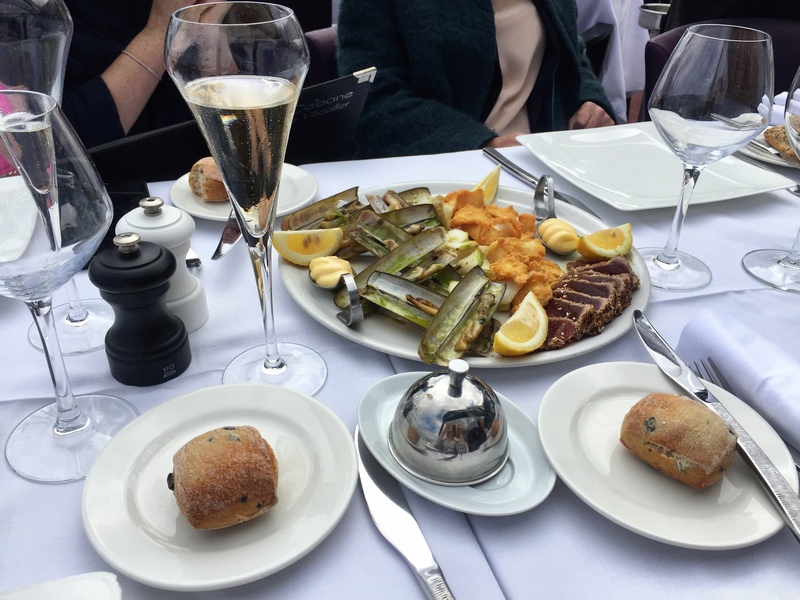 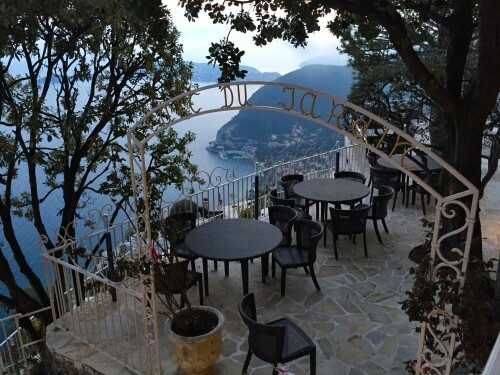 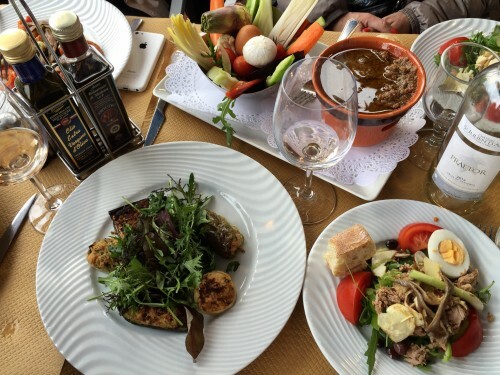 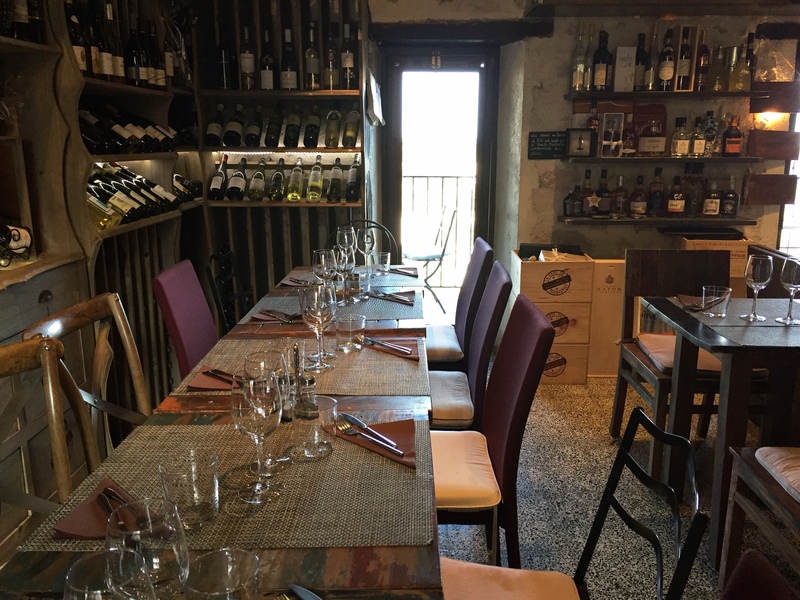 You are within 15 minutes walking distance of the Cap, the town of Villefranche, and a casino (which is literally a minute down the road from the hotel). 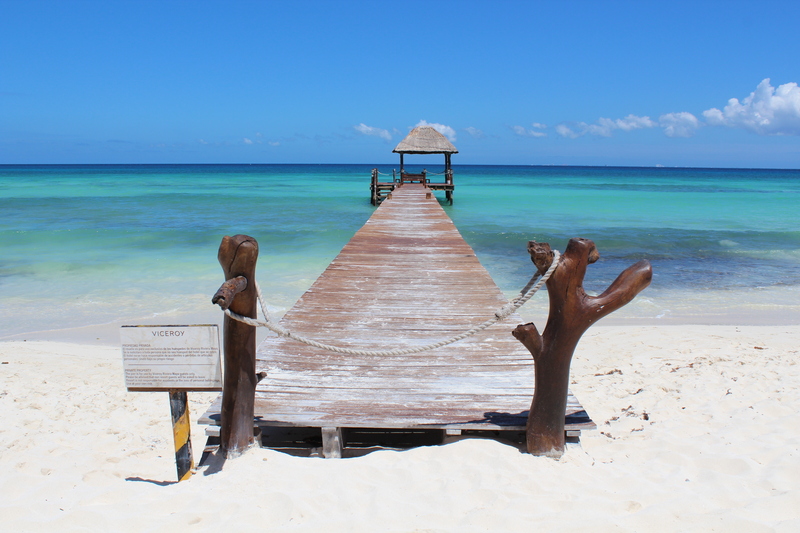 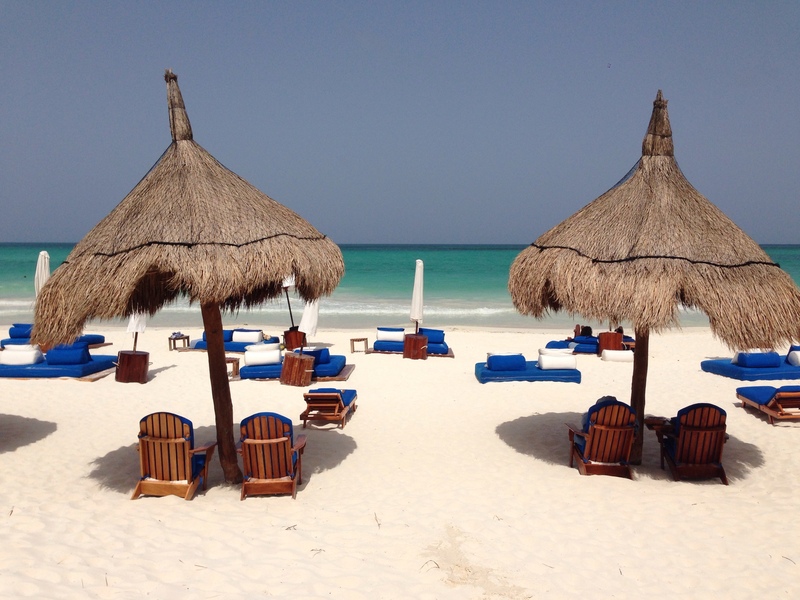 As well, the Royal Riviera features the area’s only private, and sandy (!!) 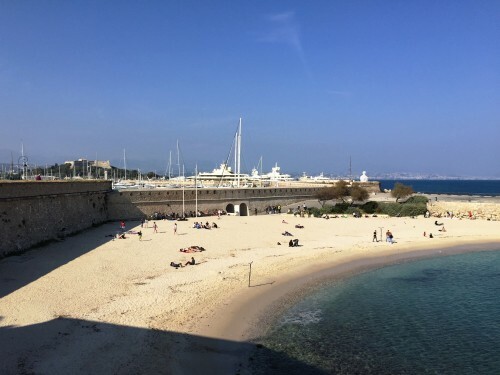 beach, open from May to September. But the best part of this hotel is the vibe. It is a 5* property, but oh-so-relaxed at the same time. 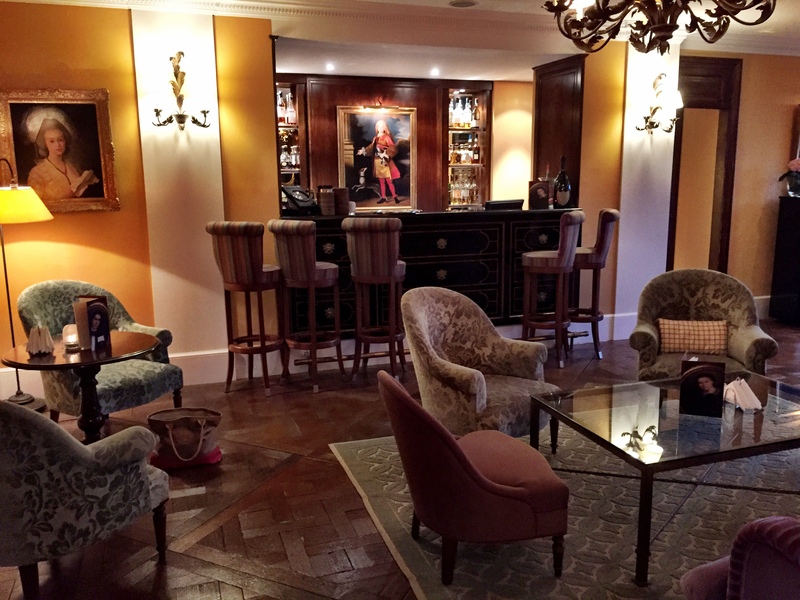 The service is outstanding, and it feels like a little home away from home. No pretense or snobbery here! The exterior is a pale pink, with cute striped awnings over the windows. 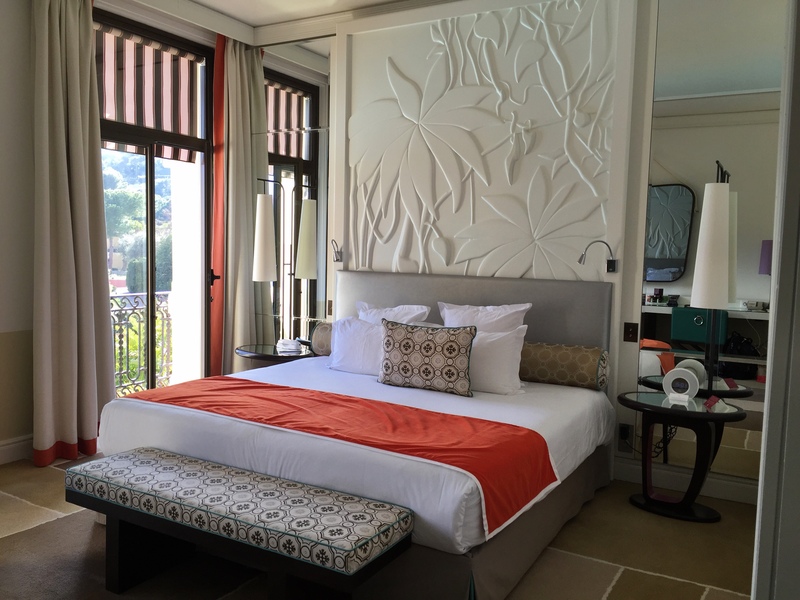 My favorite rooms were those which overlook the pool and have a partial sea view.. light and bright with pops of color. 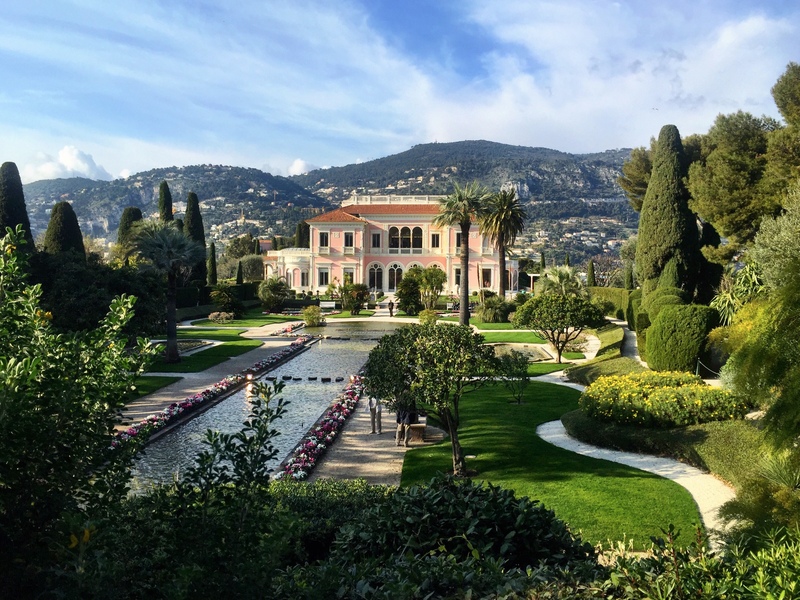 Also, the Royal Riviera is just a few minutes walk from the stunning Villa & Jardins Ephrussi de Rothschild. Definitely worth an afternoon to stroll the grounds, tour the villa, and have a drink or tea on the terrace! 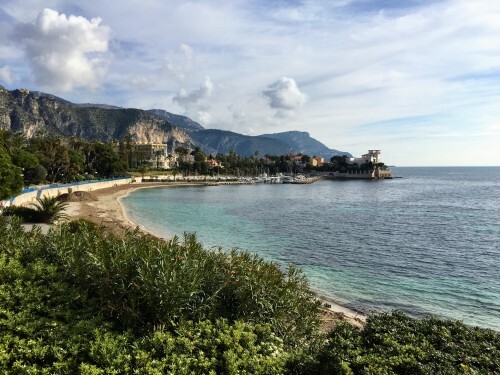 Of course, from here, it is easy to explore other Cote d’Azur destinations such as Cannes and Monaco, or even a day in Nice! 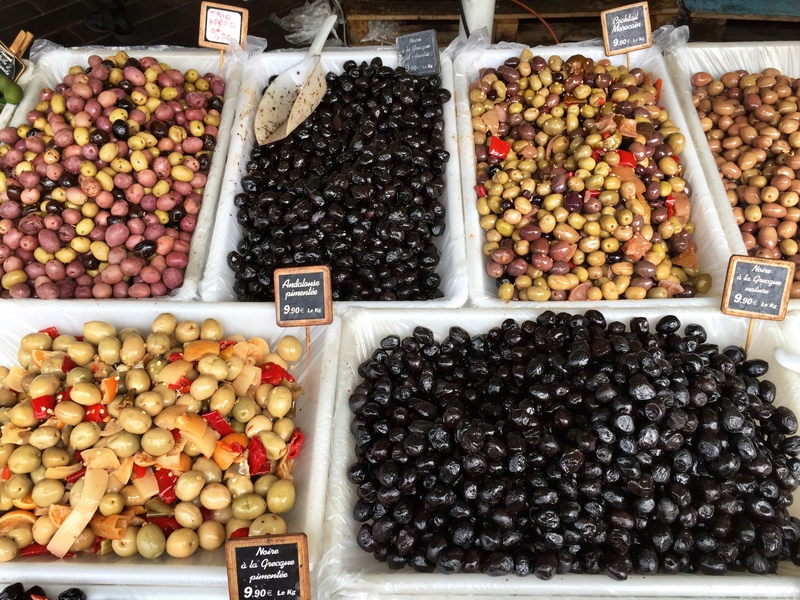 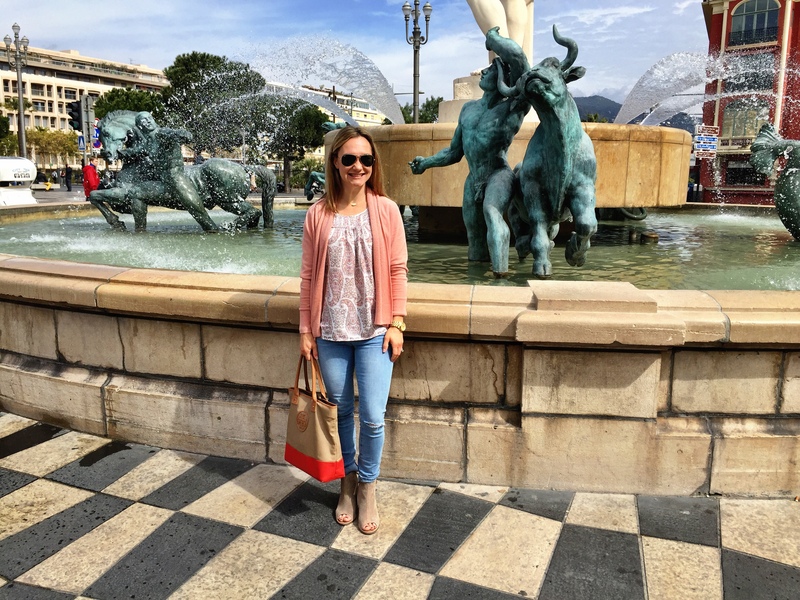 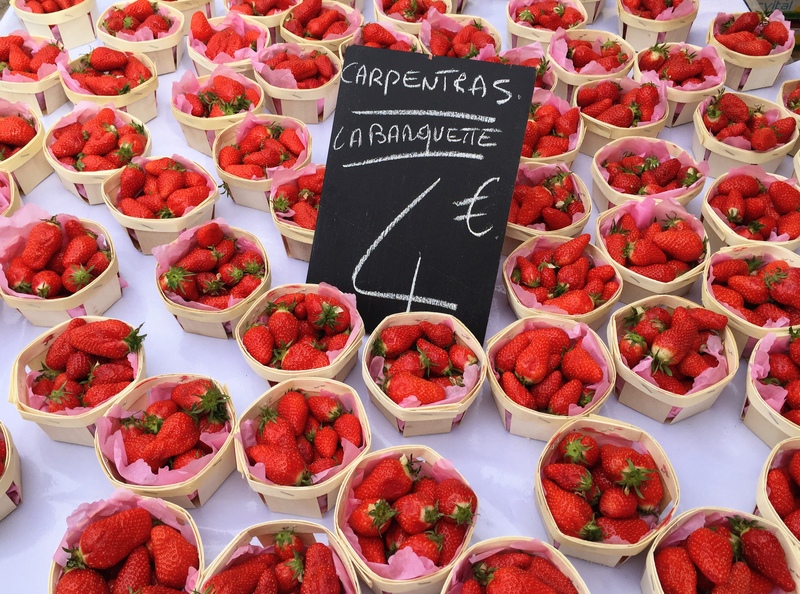 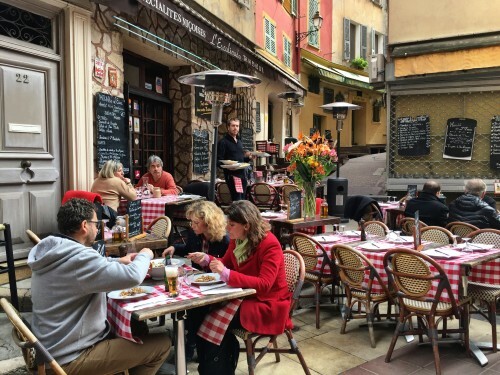 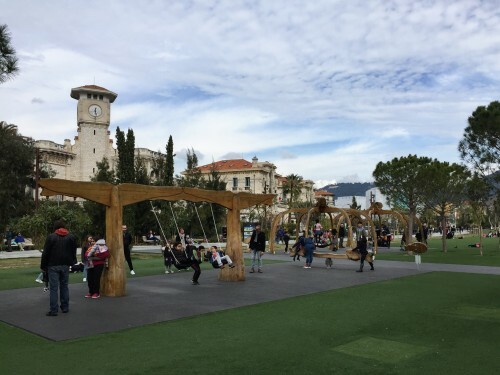 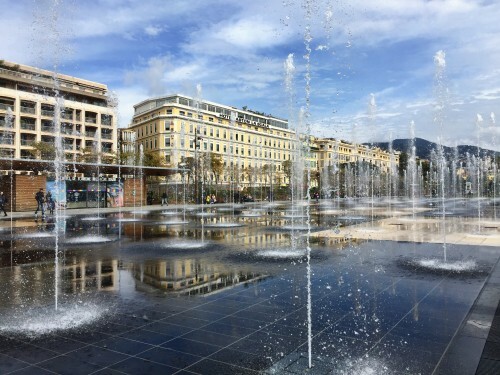 From the cafes and outdoor markets of Vieux Nice (Old Nice) to the new Promenade du Paillon (great for kids with water features for splashing).. Nice has something for everyone! 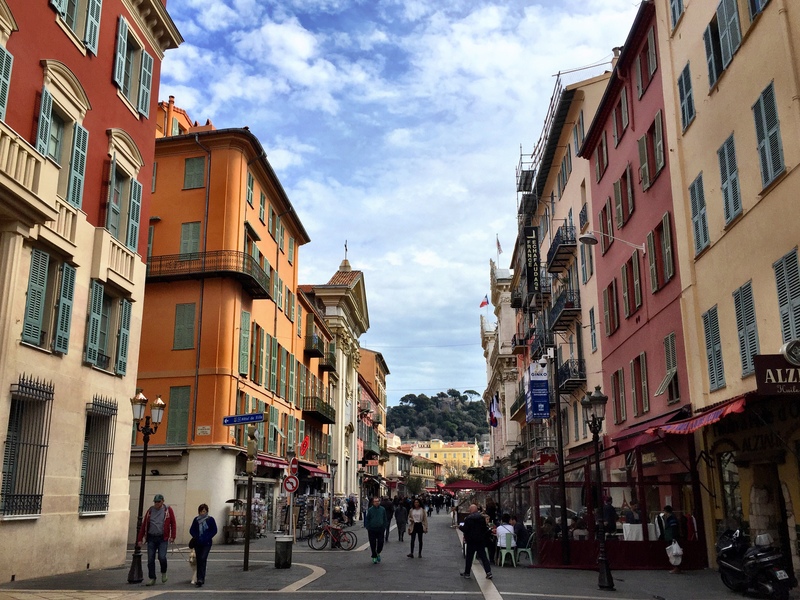 It had been a while since my first visit to Nice, so it was great to be back. 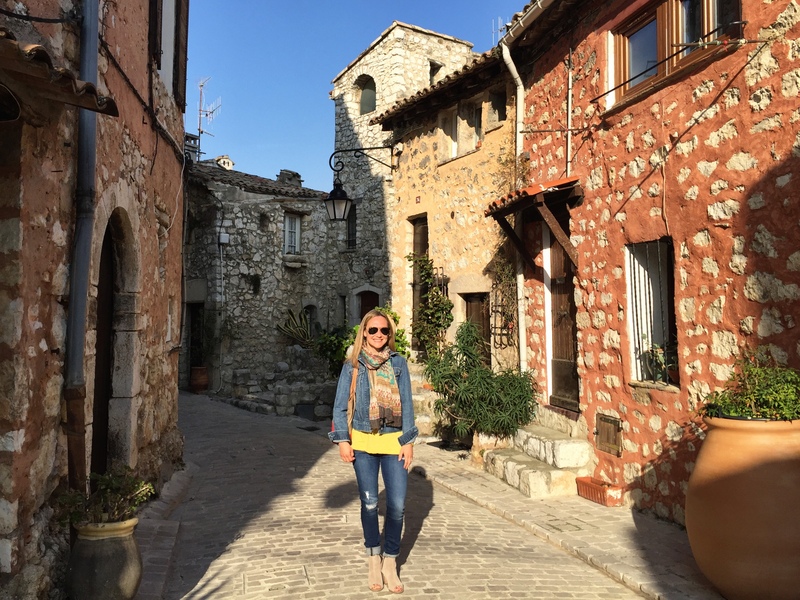 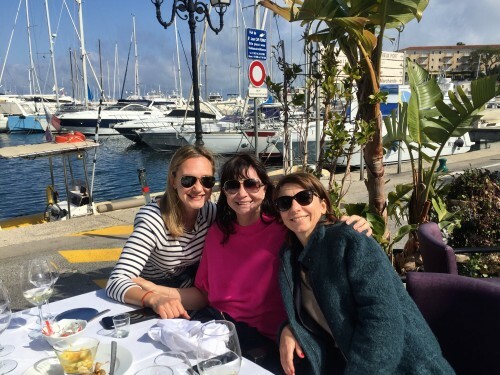 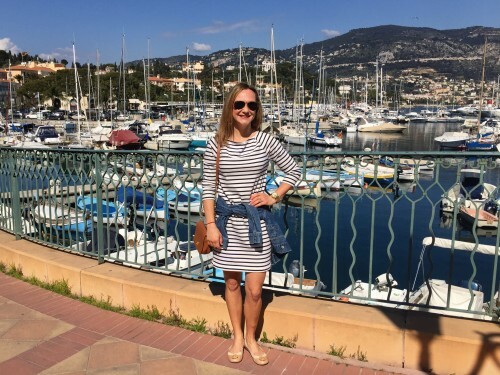 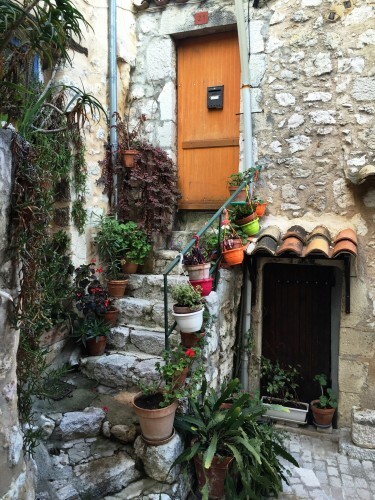 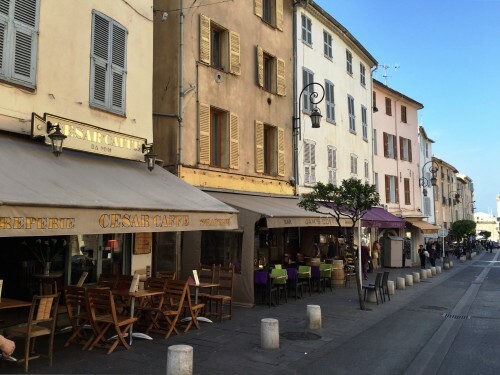 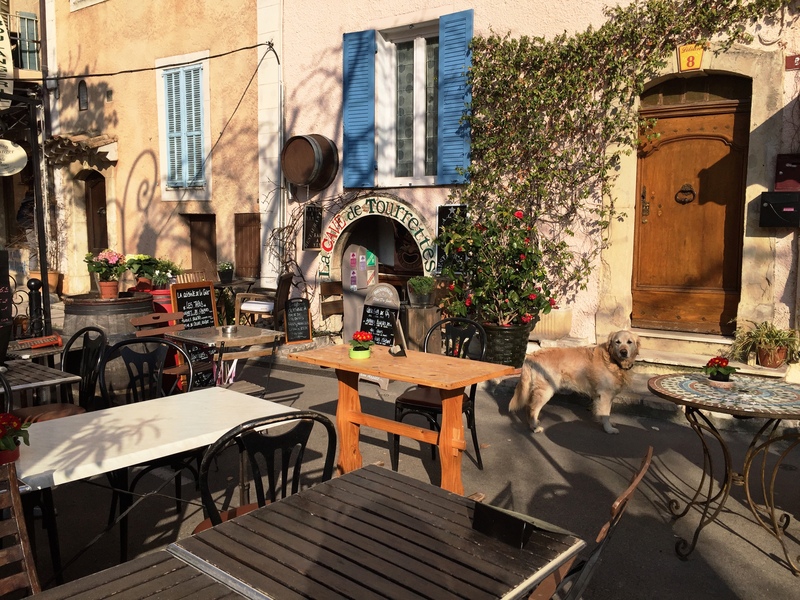 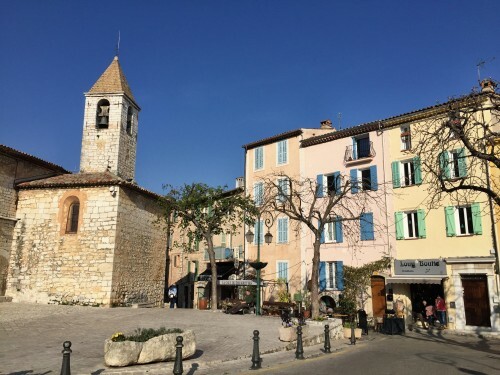 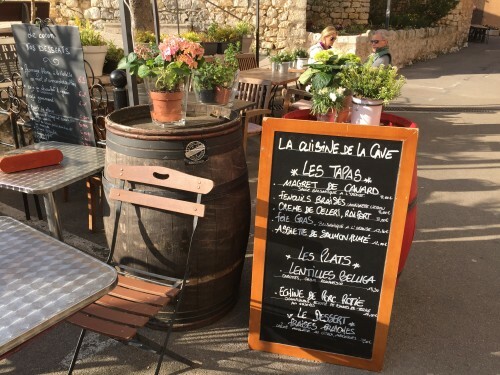 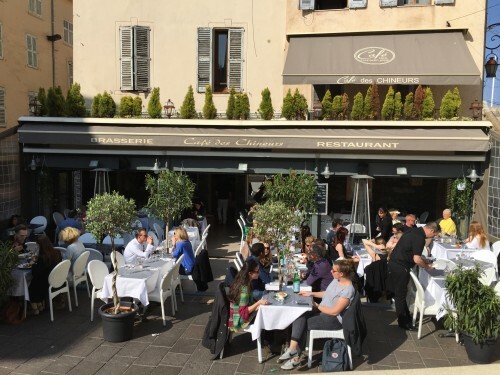 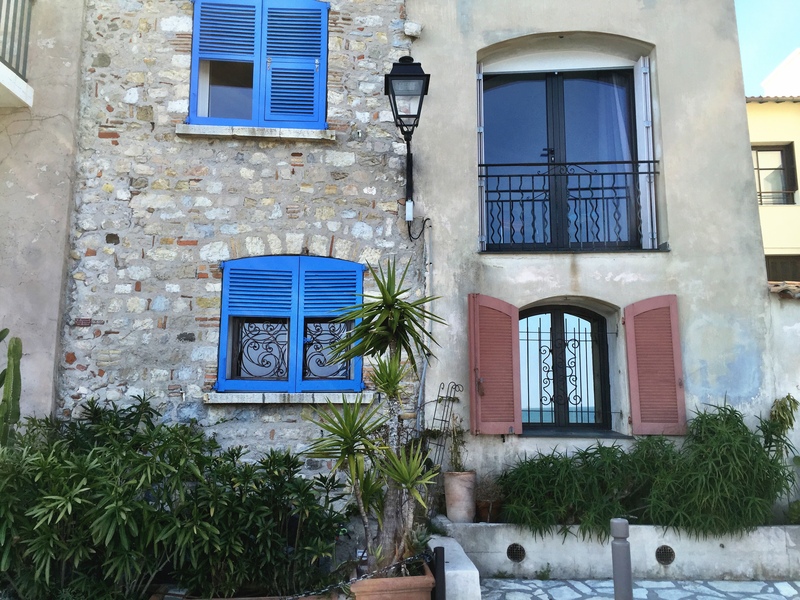 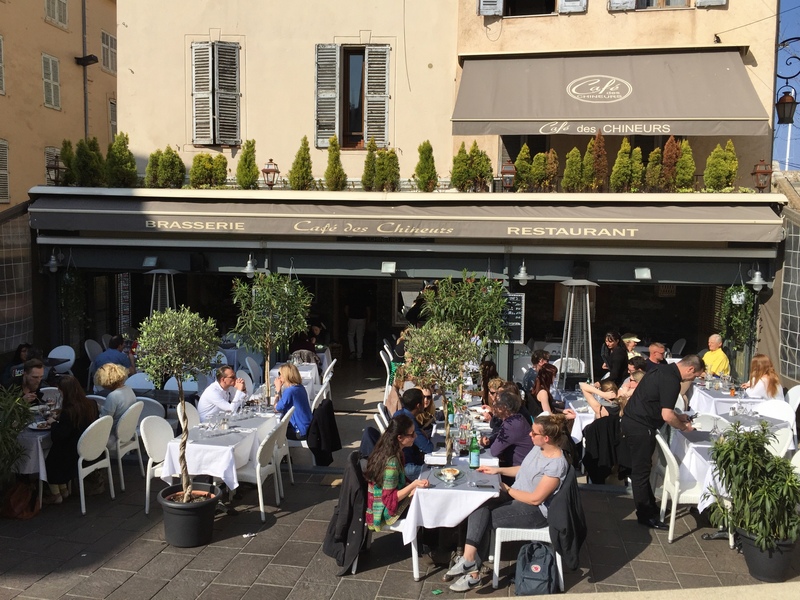 Another cute town on the coast to explore is Antibes and its neighbor Juan-les-Pins. 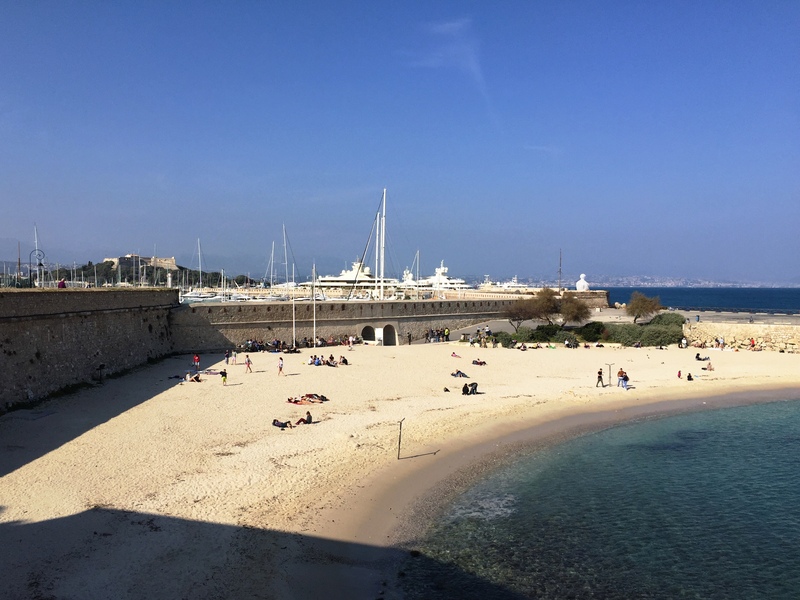 The port of Antibes is bobbing with small fishing boats up to mega-yachts and encircles the 16th century rampart walls of old Antibes. 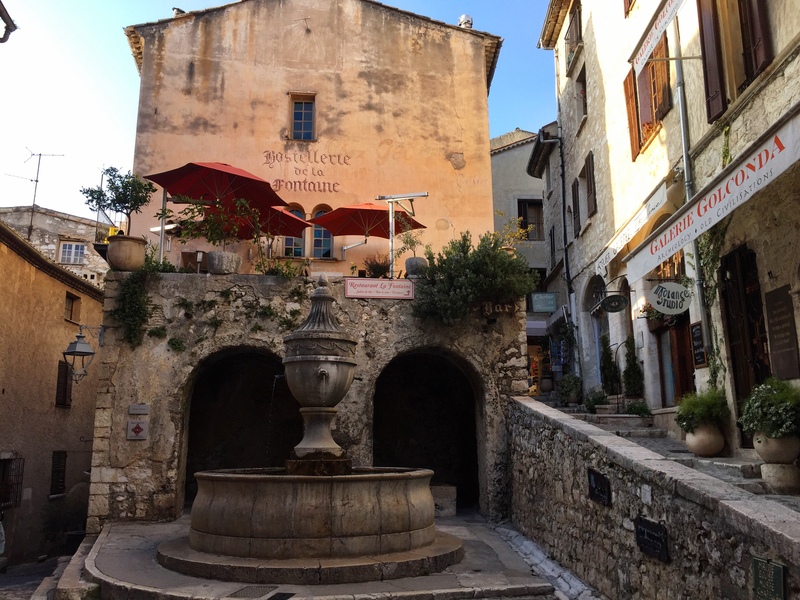 The old town is lined with shops, cafes, and a Picasso museum. Juan-les-Pins is a beach town with leafy streets and cafes that beg you to relax over a glass of rose. 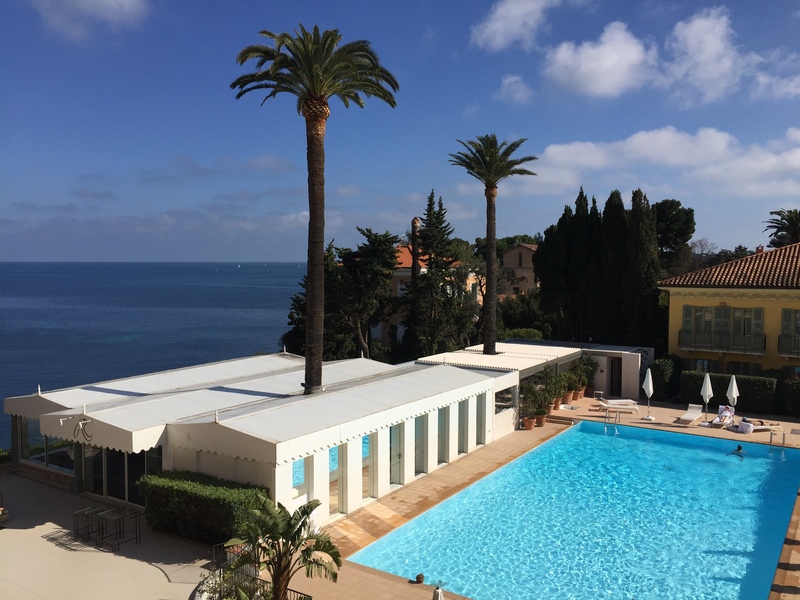 This is where the Virtuoso property Belles Rives is well-located, an art-deco area property with inspiration from F. Scott Fitzgerald and the roaring 20s. (And further down on the Cap d’Antibes, the highly exclusive Hotel du Cap-Eden-Roc, also Virtuoso.) There was something I couldn’t quite put my finger on, but my brief time through these towns really conjured a more authentic air than their highly built-up neighbors to either side, Nice and Cannes. 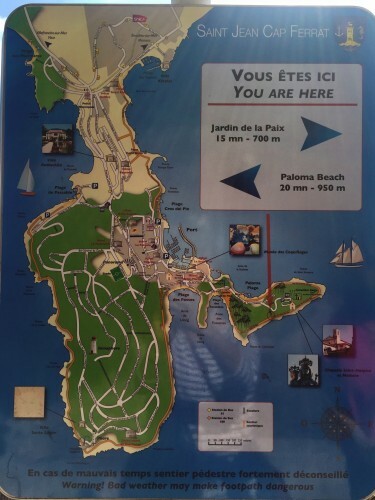 Next time.. 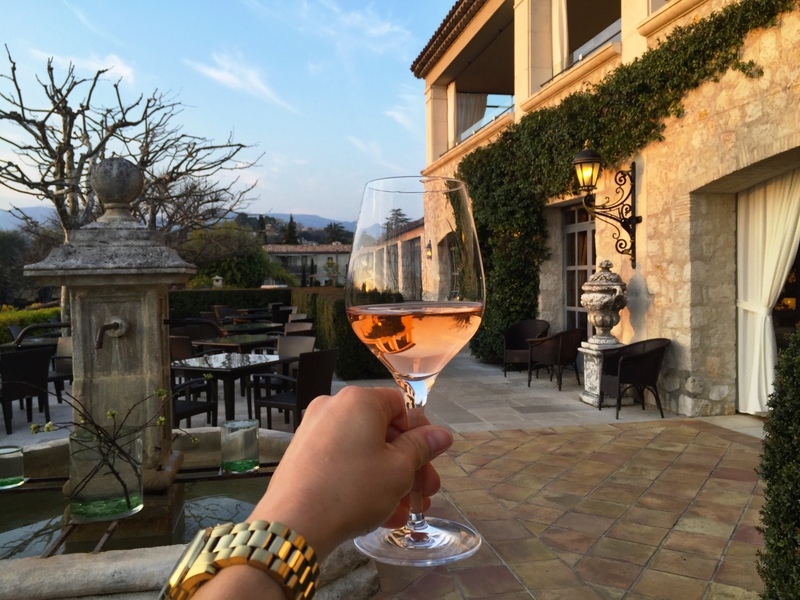 I will make sure I stay for that glass of rose. 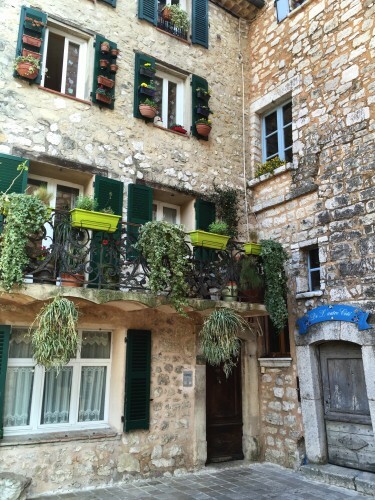 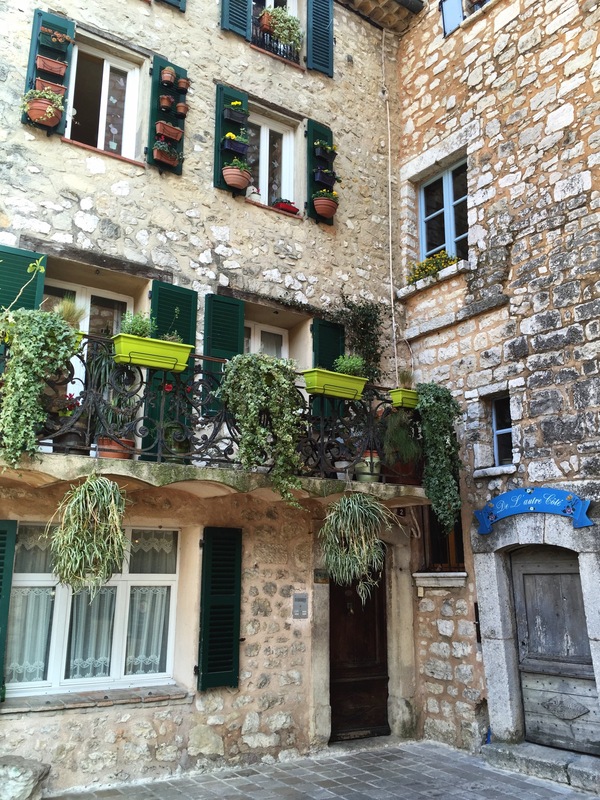 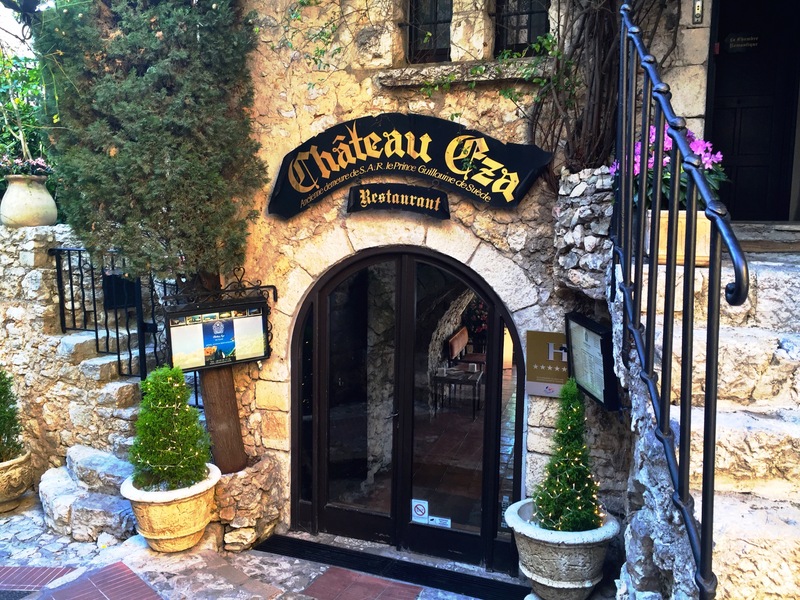 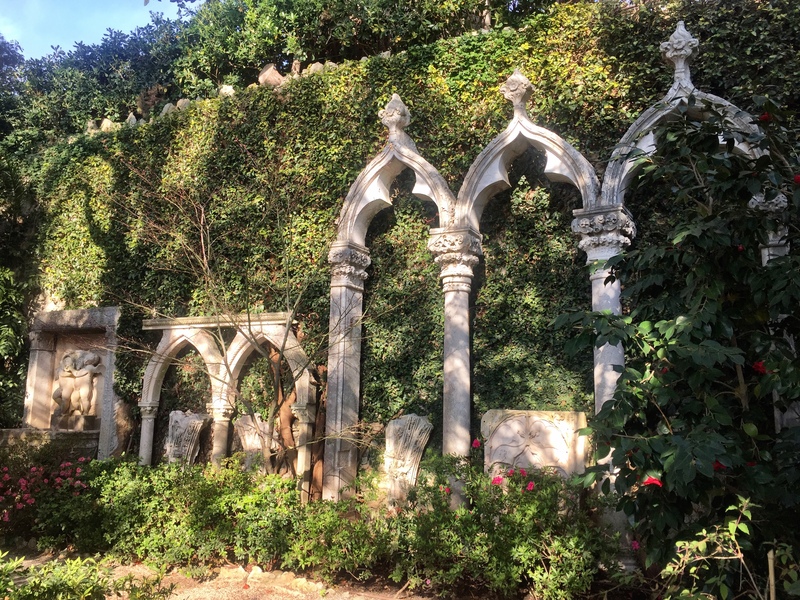 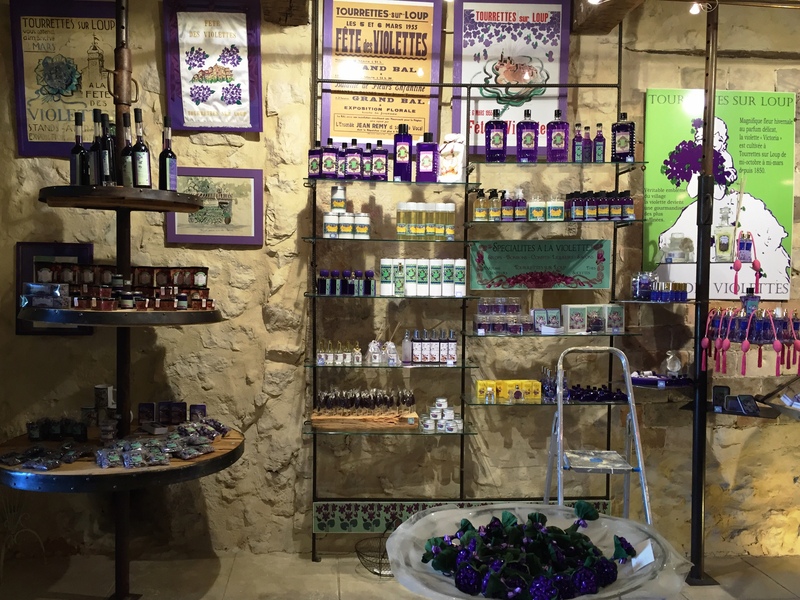 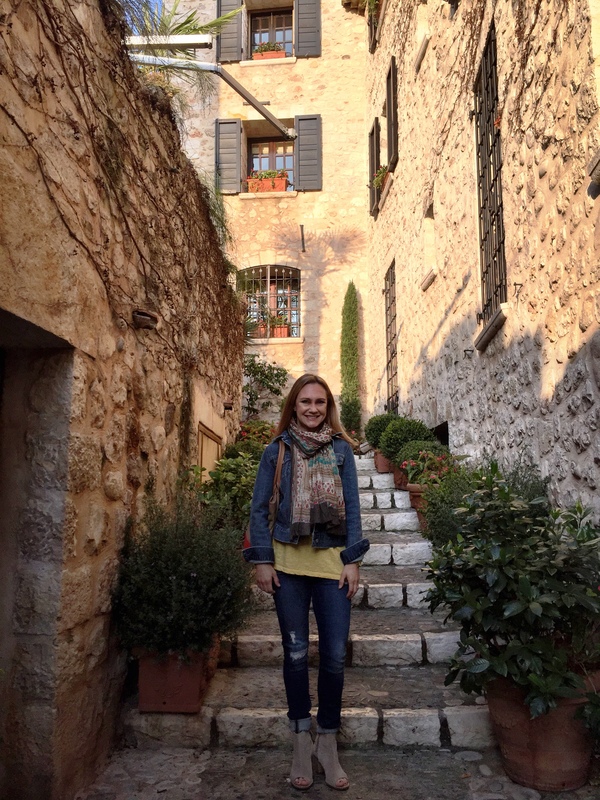 When you are ready to head a bit inland, it is time to explore Eze! 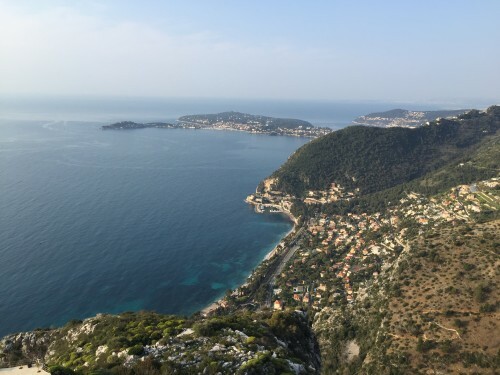 This fortified medieval hilltop town from the 12th century is about 15 minutes from the Royal Riviera hotel and boasts incredible views of the coastline and the Cap Ferrat. 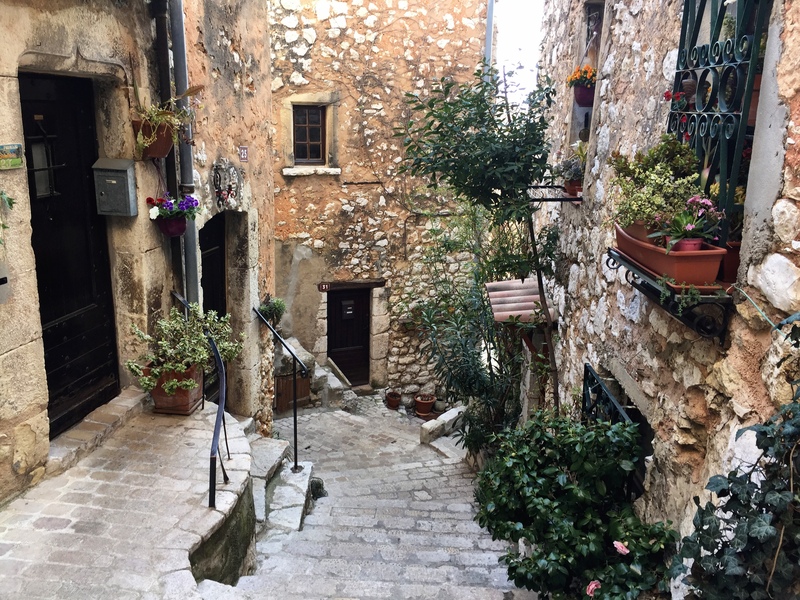 The two 5* properties there are built right into the old castle walls, and you could easily lose yourself exploring the shops and narrow alleys of the town. I recommend staying overnight so that you have the town to yourself in the morning and evening, after all the day-trippers have left. 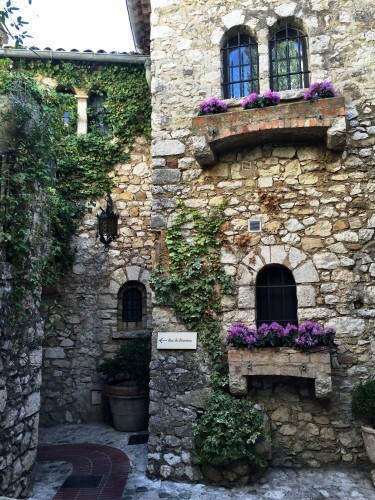 It feels downright magical. 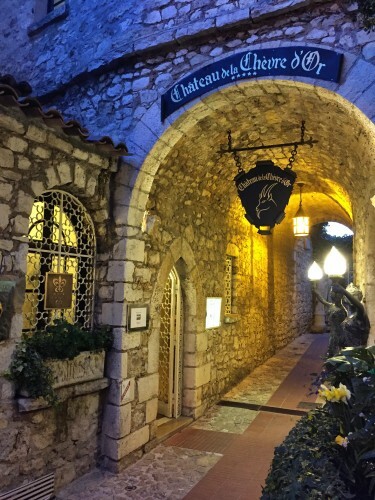 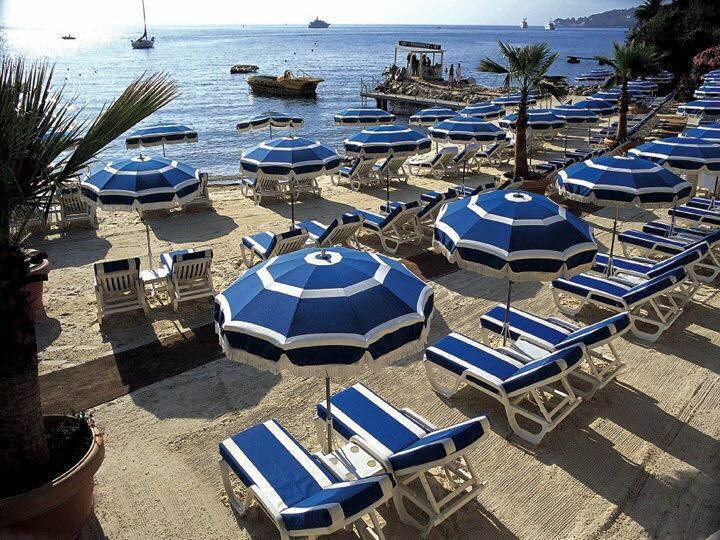 Also, a stay in Eze is a perfect compliment to a stay at a coastal resort like the Royal Riviera! 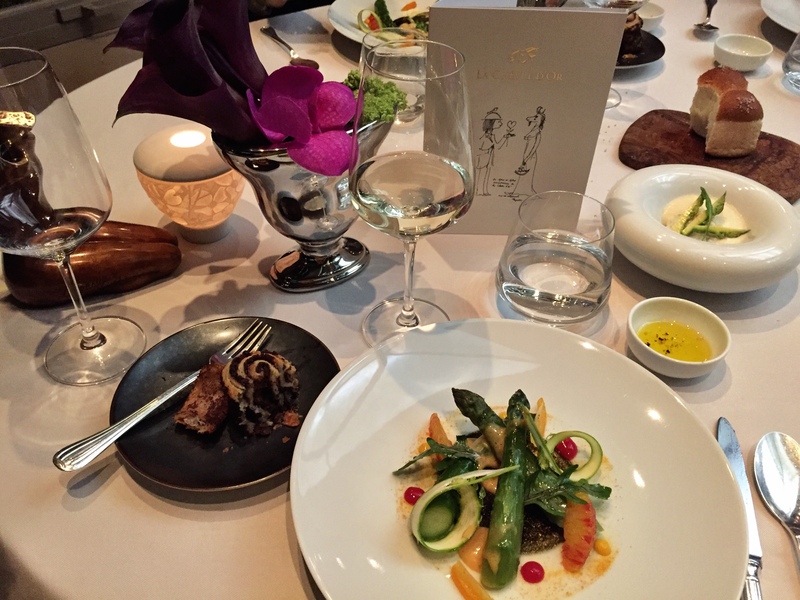 Incredible meal at the two Michelin star restaurant at Chevre D’Or.. a must no matter where in the area you are staying! 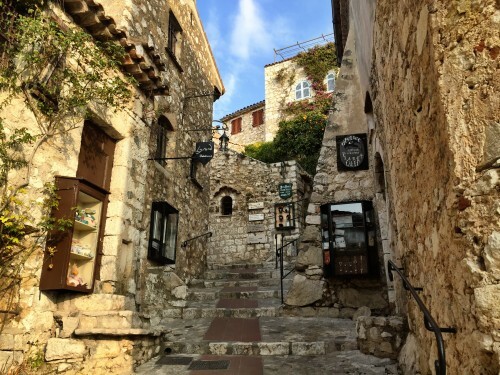 After you have relaxed on the beaches of the Cote d’Azur and enjoyed the vistas from high atop Eze village, it is time to go back toward Nice and then head north into the hills to visit the ancient hilltop towns of Saint-Paul-de-Vence, as well as a less-touristed town called Tourrettes-sur-Loup, which is only about a 10 minute drive from St. Paul. 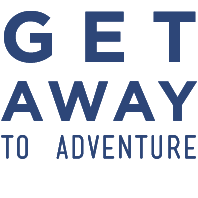 It would be helpful to have a car as taxi fares can be quite high, or as I prefer, a great driver guide so you can just relax and enjoy!! 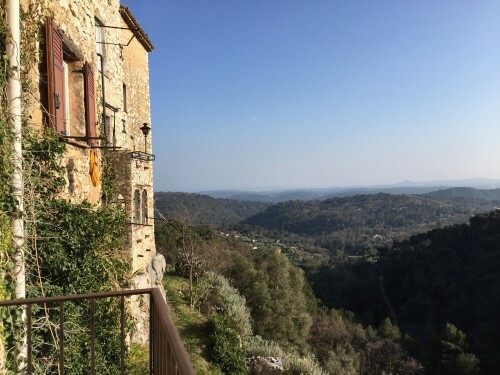 It is just close enough to busy St. Paul without being IN it, with the advantage of the most beautiful setting- 5 acres of olive trees, herb garden, and terraced landscaping, along with an inviting outdoor pool. 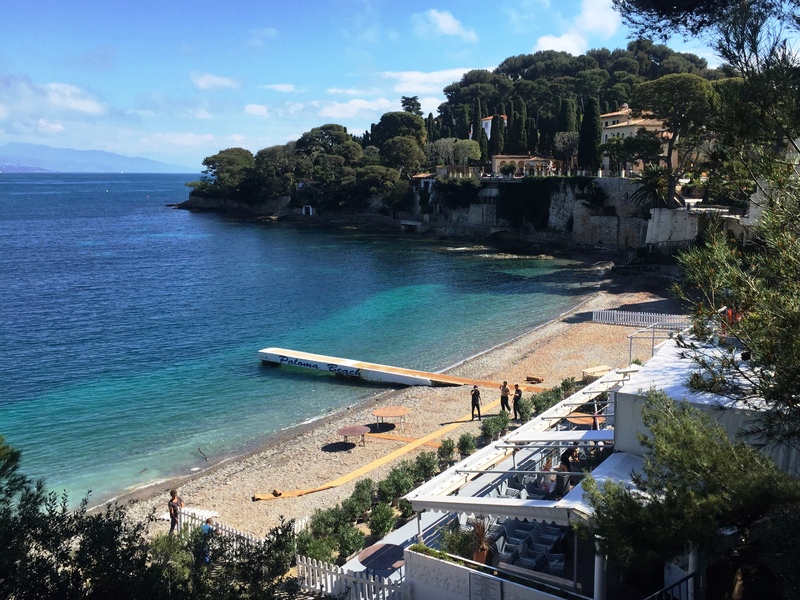 This resort is just 10km from the Nice Airport, so you could end your journey here, as I did, and be close enough to fly home. 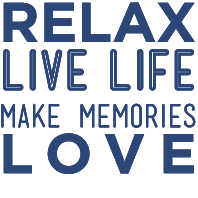 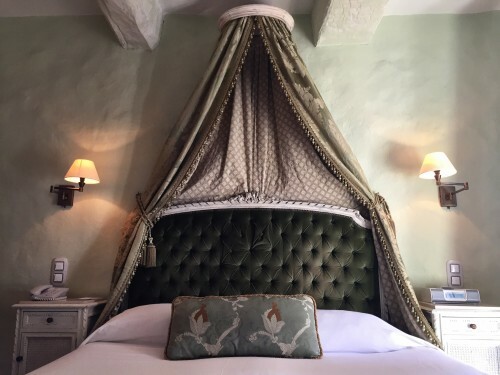 Of course, if you prefer to be IN St. Paul, I recommend Le Saint Paul, which is also Relais & Chateaux, and a Virtuoso property, with great perks for my clients! 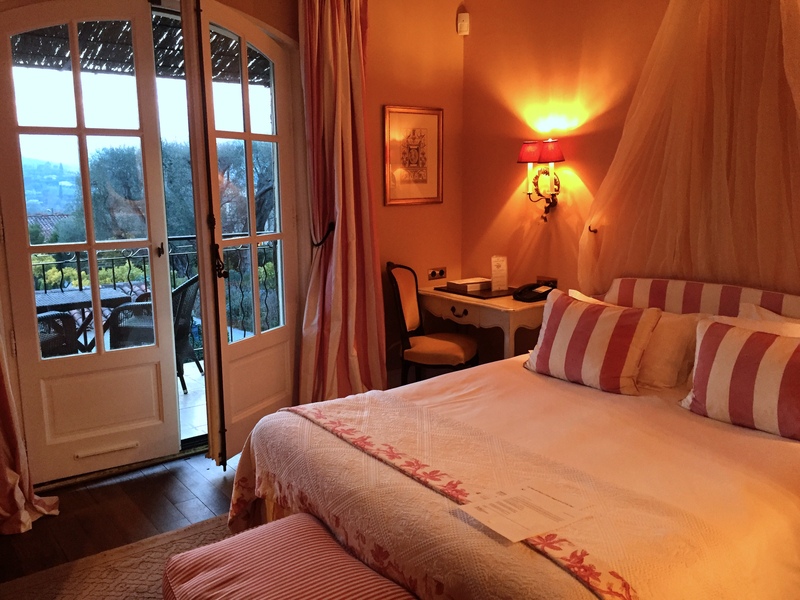 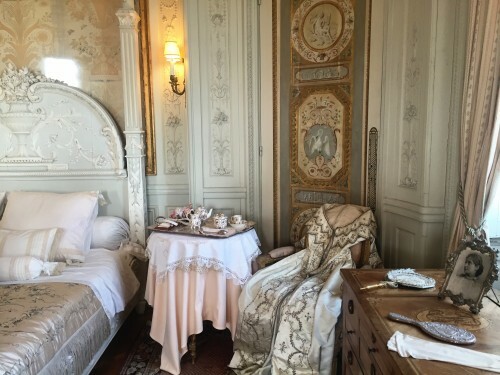 Classic room at Le Mas de Pierre, traditional French decor but oh-so-cozy! Now please hop on over to French Riviera + Provence (2 of 2) to continue on this fun journey across the south of France!